Twenty Coffee & Blogs posts! 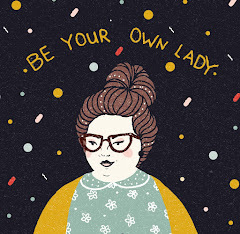 This is by far one of my favorite things to put together for Be Your Own Lady, so I'm pumped that they're still going strong. Thanks, internet, for offering up so much to sift through. You're my bae. The boys and I have been listening to a ton of Andy Grammer in the car. Milo knows all the words to Fine by Me, and we're blasting Honey I'm Good. This video is really. really cute. Earlier this month, chalkboard drawings from 1917 were discovered in public school classrooms in Oklahoma. They were perfectly preserved underneath the current chalkboards. I cannot tell you the shivers this gives me. I love the history and the glimpse of early education (only recently did artistic ability stop being a precursor for good teaching). It also makes me REALLY want to explore the abandoned middle school up the road from me. It is all boarded up but I have caught a glimpse through a crack, and the room I saw looked like the students stood up and left. I eagerly await Anne's Summer Reading Guide every year. She only includes books that she has read, breaks everything into categories, and I always get at least one new favorite from her lists. I'm working on my summer syllabus (here is last year's) and I always take her ideas into account. Loved this analysis of Jurassic World by Thea of The Book Smugglers. I felt really let down by the critical comments from a lot of people I usually turn to for pop culture talk (Linda Holmes, NPRs pop culture correspondent particularly) about Jurassic World and the character of Claire. She was referred to as cardboard, silly, and a feminist nightmare. Excuse me, Claire saves lives SEVERAL times and was well-written and layered. Chris Pratt's Owen was a much flatter character, and this is coming from a serious Pratt fan. I thought the story line of the two brothers was well acted, and I think the subtlety of the younger brother likely being on the autism spectrum was handled really gracefully, and I especially loved how his strengths due to being a person with autism helped to save the day (dinosaur facts, fixing up old cars). This is speculation, they never actually come out and explain it, but I thought it was pretty clear in the writing. Basically, not the best movie ever made, but I had a lot of fun watching it. BECAUSE FATHERS DAY! Dads Are the Original Hipster. I just discovered this series on The Toast this morning- HEY LADIES. I read the Baby Shower email chain first and then scrolled back to what I think is the first ever one, Bachelorette Party Emails. These are hilarious, and, in my limited experience, BARELY SATIRE. Like...seriously. Consider this a trigger warning. Some of you may faint. "Congrats, Jen!!!! Are you feeling morning sickness yet?? Jen swore me to secrecy since she is still in the first trimester, but baby shower brunch places tend to book up, so we really don’t have a sec to lose, so I guess the cat is out of the bag!!! The baby is due in November, right? I am super booked up, but I think I can make a baby shower work at the end of Q2." While we're there, another hilarious article from The Toast (which is also influencing my summer syllabus- more classics!) about ways women have died in literature. Some of my favorites: cold hands, beautiful face, spent more than a month in London after growing up in Yorkshire. Out of Print tees is FINALLY making plus-sized shirts for plus-size literary ladies. I'm a little bummed that this happened a week after I placed my order (my two shirts JUST fit, but I would have sized up if I could) but now I just get to shop MORE! I am jonesing for the Le Petit Prince shirt, but I'm going to hold out and see if they'll make a Wrinkle in Time one! Our June pick for Be Your Own Book Club is The Opposite of Loneliness: Stories and Essays by Marnia Keegan. I've read through some of the stories- one of the things I love about this book is that you can pick it up and get a complete piece in just a handful of pages. So far, the two short stories I've read read like live journal entries edited for the New York Times. Not necessarily a bad thing. I see a lot of honesty and a lot of vanity, which nails the early 20s kind of perfectly. Anyone reading along? Thoughts so far?